Really looking forward to the reunion.... 30 years have flown by so quickly. I am hoping that as many of us as possible will be able to participate in this weekend of activities. Now that I look back, the experience at Wolmers was great in terms of the way it contributed to molding me. This was truly a "tossed salad" of boys from east, west, downtown, middle town and uptown, along with teachers, some of them a bit eccentric. We learned so much inside and outside of the classroom. As "tough" as it may have been at the time with the nicknames: MuggyG, JahFoote (my feet are still oversized! ), the experience made me a stronger person, preparing me for challenges that I have had to deal with to date. justin peart has a birthday today. 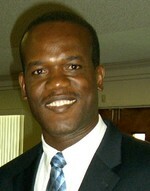 justin peart updated profile. View. justin peart added a photo to profile gallery.